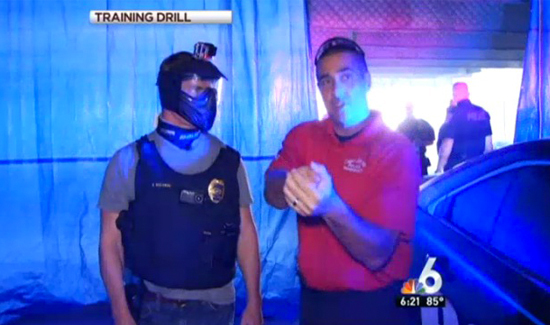 With relations between its community and its officers facing challenging times of late, the Coral Springs, Florida, Police Department decided to take action, inviting a local news reporter to shadow them for a day. The result? A positive, up-close-and-persoal story about what cops go through on the job. Has your agency or police association done anything like this? Do you think it’s a good idea? Leave a comment below. no one questions what good officers do! We pay them tons to do it and to get any ‘bad apples’ off the street or out of there ranks! I’m proud of all the police I have ever known! Thanks! This was a great thing for the media to put out there. Only wish more media would get involved in scenarios such as these so they can put the word out there that police officers need to make multiple decisions in less than a wink of an eye. The public and media are quick to judge and react, of something they know nothing about. People question good officers all the time, every day. And, no, we do not pay them a ton to do their jobs. Law enforcement is a calling, not just a job. They do it for that calling, not the small amount of money they bring home.